Today I am going to demonstrate the Chunky Bath Fizzy recipe with a twist. 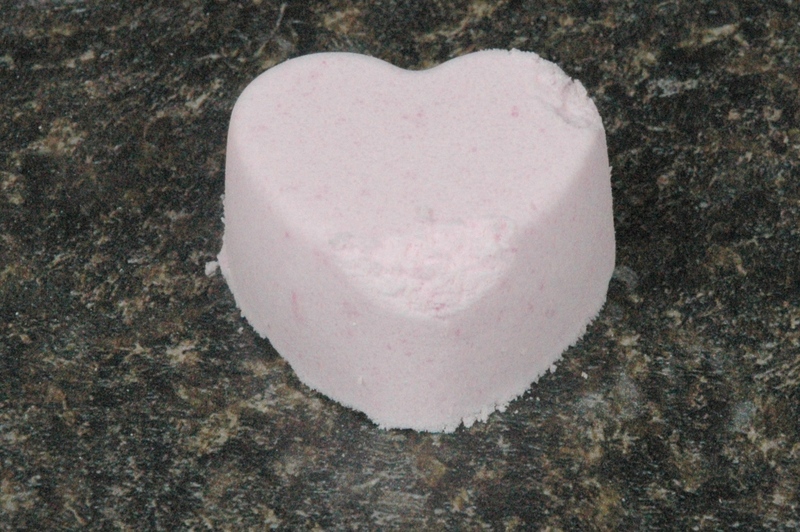 The Chunky Bath Fizzies recipe has been in our Recipes section for a long time. Since I’ll focus on an old recipe, with new pictures, what was old is now new again. Don’t overlook the Recipes Section. There are valuable things in there! Purple Raspberry Spray Color made on January 19 2009. First things first. We need to WEIGH these ingredients. In the past we have used recipes that were done by volume, but this recipe is different. Use your scale. If you are struggling with getting a scale, then email us for some hints. Choosing a good scale isn’t hard, once you know what to look for. 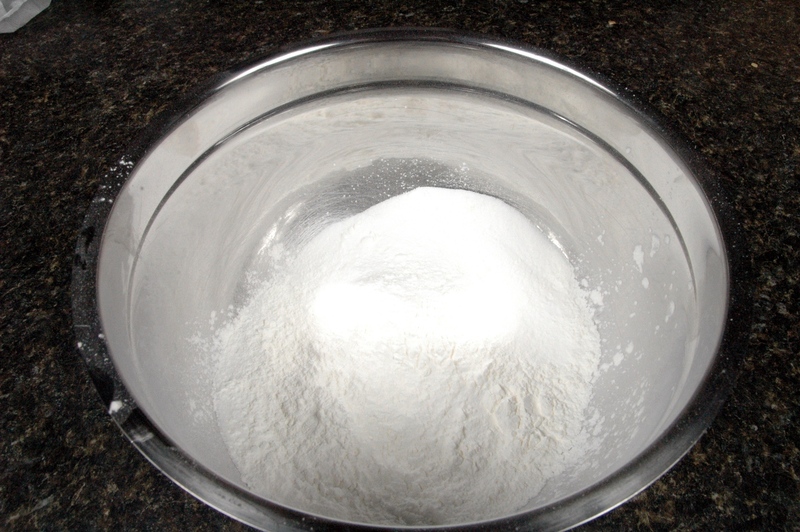 I have now weighed the citric acid, baking soda, and cornstarch. Mix gently with the metal spoon. Add the fragrance oil and mix to break up all clumps. 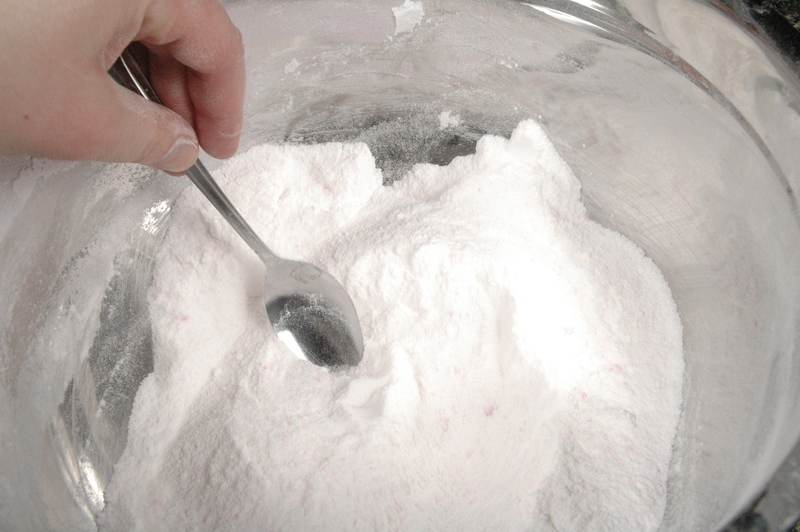 This mixture must be a free-flowing powder before we start adding color and water. Mist lightly with the plain water bottle. Two to four sprays should be plenty. We are trying to add enough water to the dry chemicals so we can compress them into the mold, we don’t want to start the fizzing reaction just yet. 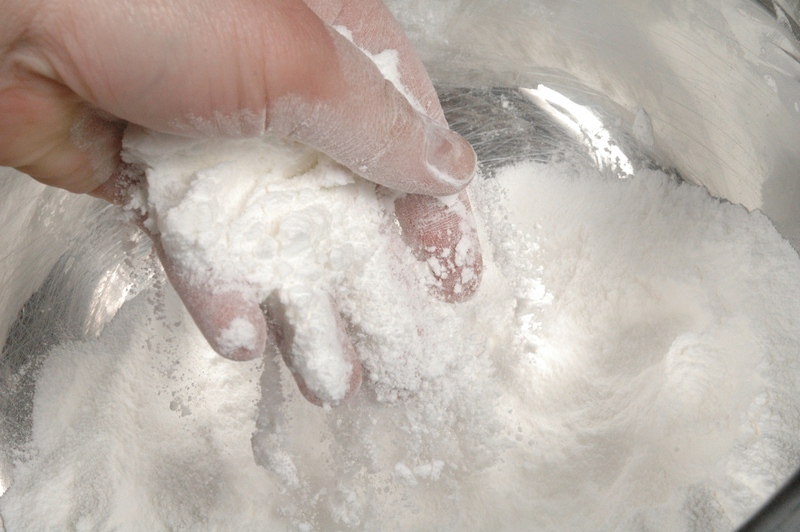 Stir, or fold over, the powder to mix thoroughly and not create a dust cloud in your kitchen. Let’s spray again. Stir gently. Let’s press into the mold. 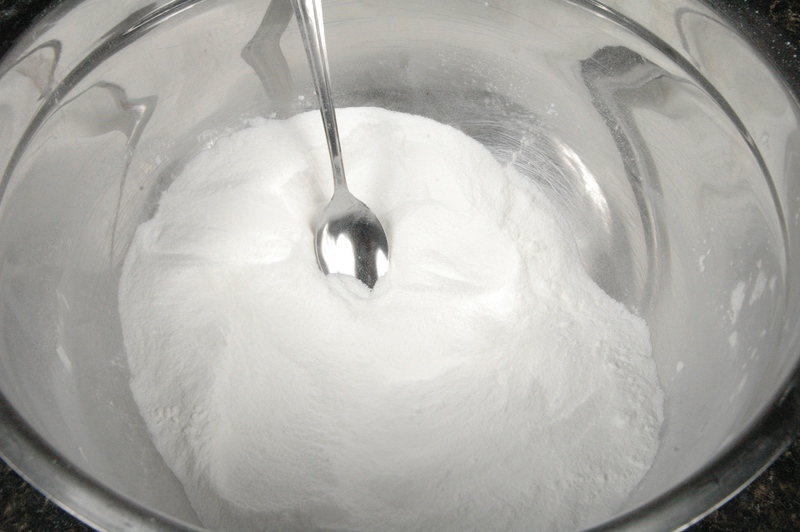 Use the back of a spoon or a tamper to compress this powder completely. Each mold was filled with 2 tablespoons of dry/damp mixture before tamping begins. We are using a silicone mold so removal is easy as pie. 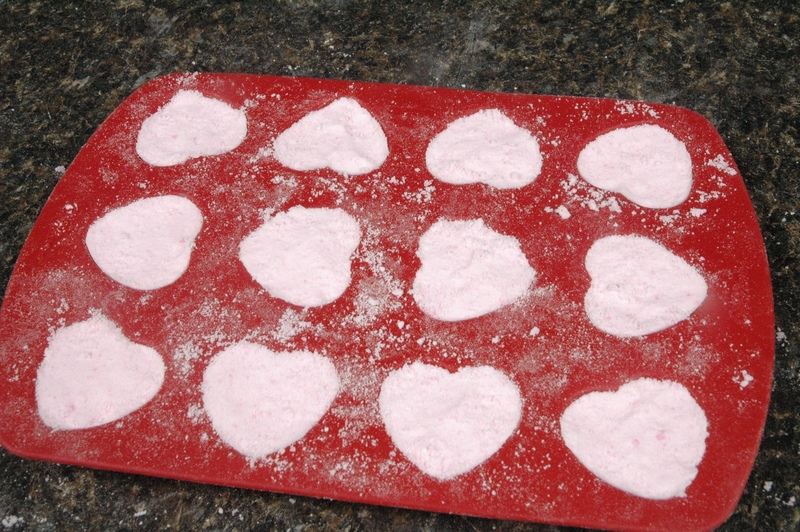 Leave the tamped hearts to dry overnight. In the morning we remove the mold and…. Viola! Our hearts are ready for packaging. I have used the 4*6 flat bags for packaging these hearts. I have now tied with a ribbon yarn. 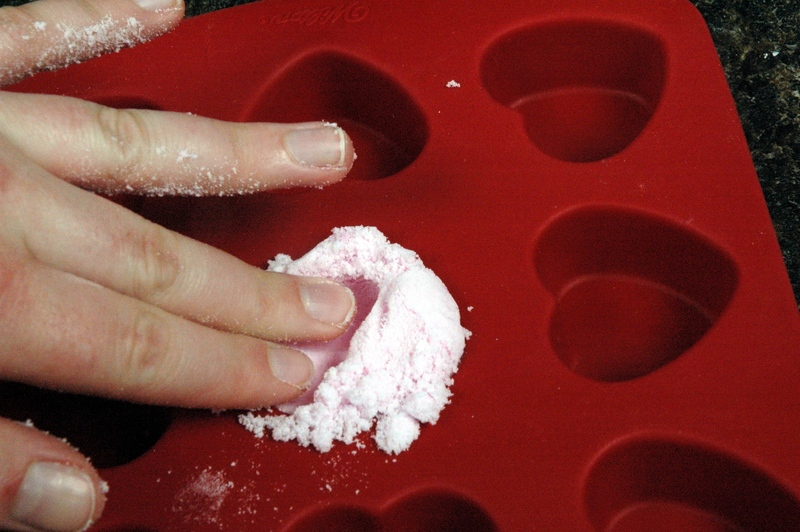 If you don’t want to press the mixture into molds, you can press the mixture into a tablespoon and then lightly tap the tablespoon into your hand to release it. You can make multiple half ball fizzies and set them aside to dry where they won’t be bothered. Next week is all about fun with Melt & Pour soap! Swirls, toys, shapes and curls! Great fun for an afternoon with the kids or for some peaceful time by yourself. Weighed ingredients in the mixing bowl. Waiting to add fragrance oil. 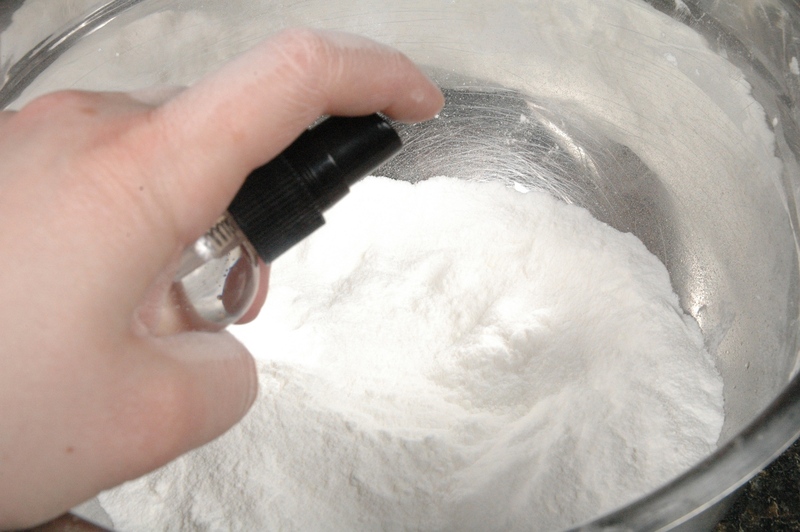 Fragrance oil on the powder. Rubbing the fragrance oil clumps out of the mixture. 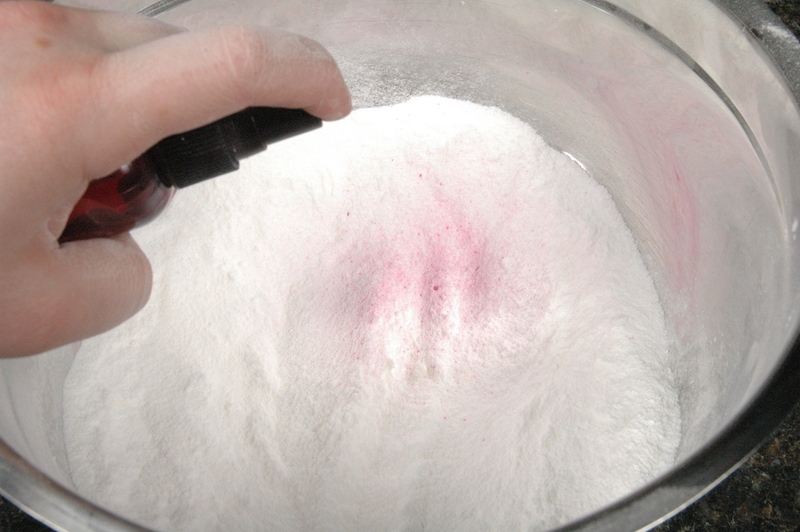 Spraying the bath fizzy powder with water. The bath fizzies aren't damp enough yet. A pressed clump of bath fizzies. Filling the top of the mold. Finished bath fizzies waiting for the bag. Spraying the color on the bath fizzies. Ready for me to test the clumping of the fizzies. Pressing the bath fizzies into the mold. Hey Andee! I have a technical question about a two ingredients. Question 1: Citric Acid, I’ve noticed that sometimes the Citric Acid has a very fine grain and sometimes the grain looks and feels larger. Are there different grain sizes of Citric Acid and does the size of the grain affect the fuzziness of the end product? Question 2: Menthol Crystals – We are currently working on a new project that requires menthol. I was wondering if menthol original state is a solid form or liquid? If not, is there a way to use the Menthol Crystals in a formula that remains liquid. The goal is to keep the menthol from becoming solid in our product. A post about using Menthol Crystals that remains liquid would be great. Thanks. 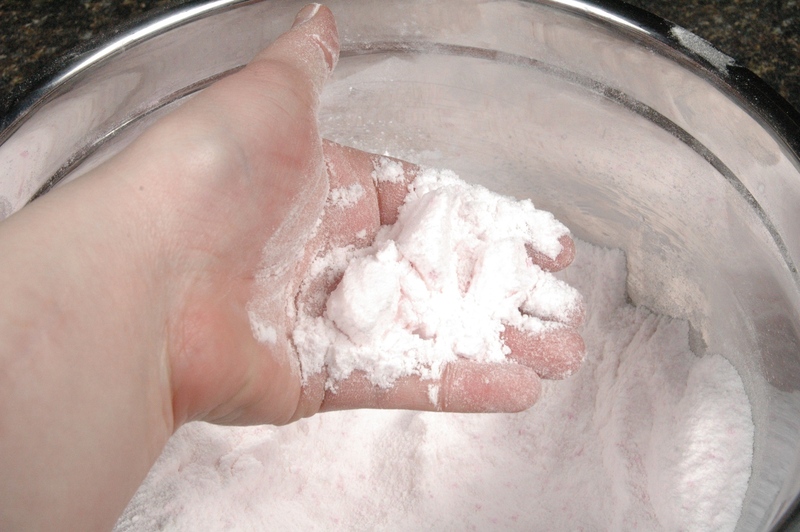 #1 Grain size does not alter any fizzing that happens when a Fizzing Bath salt is added to water. You must have an acid and an alkali for the fizzing to happen though. #2 Menthol is solid. You can dissolve the menthol in oil or alcohol. To get a liquid you should just dissolve it in the carrier of your choice (no water though). Thanks for the Menthol Crystal answer, it was most helpful and will do. In regards to the Citric Acid, could it be possible that Citric Acid that is purchased from a very humid climate area, i.e…Florida. Would the humidity cause the grains to stick together giving it a larger grain appearance and feel? Thanks. Could, but I doubt it. I would expect that the grains were established as a larger grain. I think of this as similar to salt. 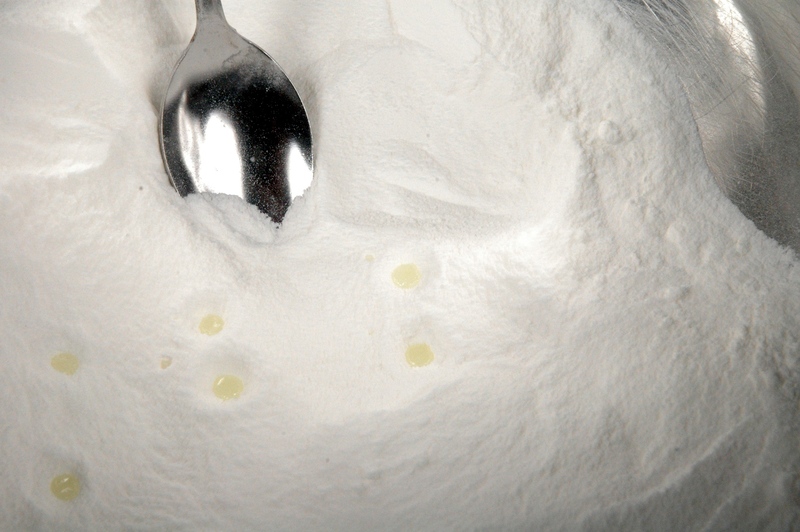 Some table salts are fine grain, others go through a grinder, and others yet are made from sea water evaporating, and some are even puffed like pretzel salt. All crystal sizes will vary, but the end result is the same. 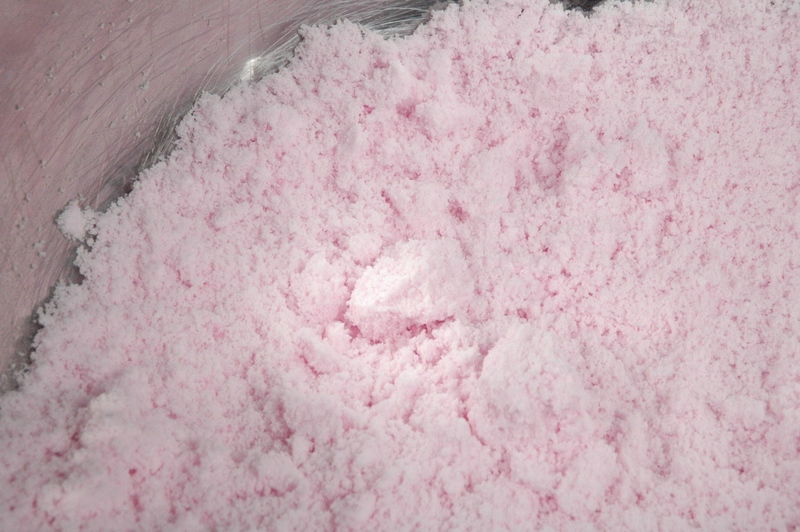 If you want a finer crystal size for your bath salts, then I would use a blender, food processor or a fine mesh sieve to work the citric acid crystals. 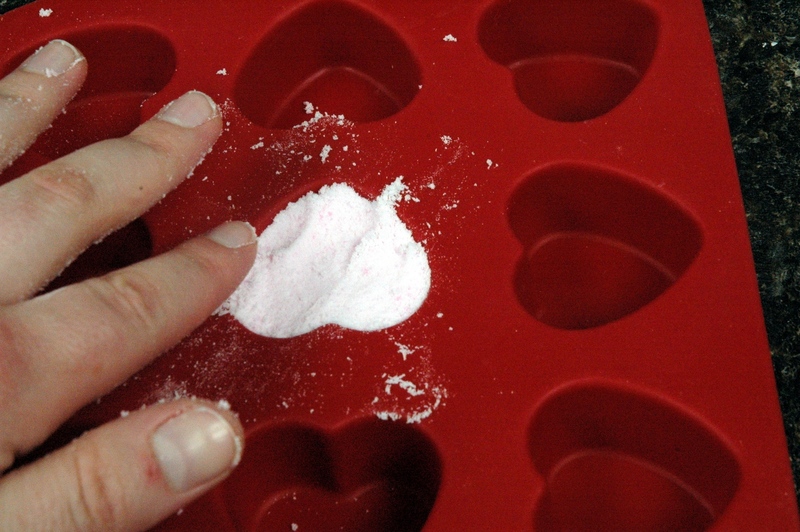 Don’t go too fine, you may be surprised how quickly you get to powder and what we call Snot-Tarts. Thanks Andee. I prefer a finer grain for a formula. I’ve purchased Citric Acid from different companies for testing and found that the grain size was the issue. I thought this was all in my mind, but with your help, I now know that some companies make Citric Acid in a larger grain. I must say that MMS has the best Citric Acid and love the finer grain. That is why testing is so important. Thank you for all of your help! 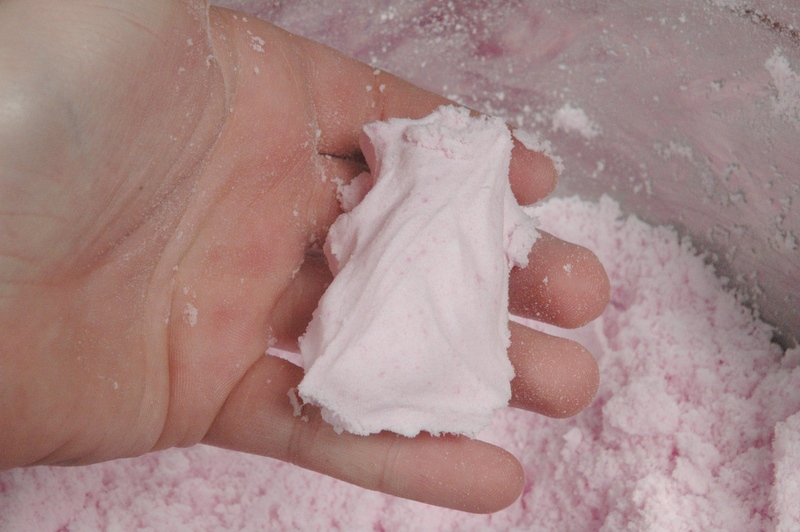 Can bath salts be incorporated into bath fizzies to help hold the FO/EOs?